From hops to hearts, Catalina Brewing Company has earned the love and appreciation of plenty of Marana residents. This small (nano) brewery packs a big punch in terms of beer selections. CBC keeps the Southern Arizona area in mind when brewing its beer, concocting recipes that infuse the likes of mesquite agave, prickly pear, and other flavors commonly found around Tucson. Although Catalina Brewing Company doesn’t have its own kitchen, there are plenty of food trucks that enjoy pairing up with this fine establishment. Keep tabs on CBC’s Facebook page to find out which mobile eateries will be gracing the place before you visit. The brewery’s also super active in festivities all over the neighborhood and beyond. Catalina Brewing Company’s Facebook page will keep you apprised of fun things to do such as the Baja Beer Festival and the Ina Road Open House & Block Party. See the beautiful Arizona landscape via horseback, and gain a greater appreciation for nature. Way Out West Ranch offers horseback trail rides, complete with friendly guides. Trail rides are available seven days a week, but all trail rides are available via reservation only. 90-minute trail rides happen at 6am or 6pm, making either option a great way to see the way the sun paints the sky. For a truly special experience, go for a moonlight ride. 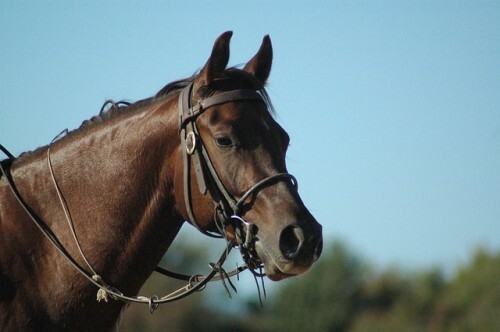 Although Way Out West Ranch is not a non-profit, the organization does utilize the proceeds from its rides to rescue horses, providing rehabilitation for sick or injured horses. You can feel good about each ride you take, knowing the money will go to a good cause. Amidst the breathtaking scenery and mountain-adorned landscape of Marana lies a world-class, 27-hole golf course. The Golf Club at Dove Mountain is an elite golf course designed by none other than legendary champion Jack Nicklaus. Elevations range from 2,300 to 3,200 feet, and each hole encompasses its own unique – yet enjoyable – challenges. Amateurs and golf legends alike visit The Golf Club at Dove Mountain to experience this unique High Sonoran Desert golf oasis. With the Ritz-Carlton in town, a luxurious staycation is at your front door. Take a few days to get away from the hustle and bustle of everyday life, or settle in for a couple’s retreat, complete with maximum comfort and relaxation. The Ritz-Carlton, Dove Mountain is the only 5-star hotel in Arizona. It brings with it an outstanding experience from every angle. You’ll enjoy top-notch customer service, impeccable rooms meant for relaxation and comfort, and outstanding views. If you’re on the hunt for an amazing staycation in the Tucson area, Marana’s Ritz-Carlton resort will provide you with all of the peace, serenity, and rejuvenation you need. Be sure to check into the spa for a full-body massage and reinvigorating facial so you leave your worries behind.